The first ESRC Fat Studies and Health At Every Size Seminar, which took place last week at Durham University, was pretty fabulous. The theme for this first seminar was 'Abject embodiment: uneven targets of fat discrimination,' and in her introduction to the event, Rachel Colls explained that part of the work of the seminar related to identifying the conditions in which fatness is described as loathsome, and finding ways to intervene and challenge the processes that make fat abject. For me, what made the seminar very special and unusual in terms of work on fat/'obesity' was that it had a warm and supportive atmosphere, and that although there were some very experienced academics in the group, it was a mixed gathering and people from different backgrounds felt able to speak up. I think it is vital that events such as this have bursaries available to people on lower incomes, and it thrills me that the seminar was free to attend, unlike other academic conferences, which can be very expensive, and thus make knowledge elitist. Some great discussions emerged, too many for me to document here, but I enjoyed talking and hearing about people's research projects, people's work, how people came to fat stuff. 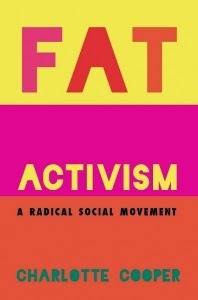 There were discussions about the uses of rhetoric by fat activists, of fragmentation within Fat Studies, and about when and were to speak up about fat stuff. 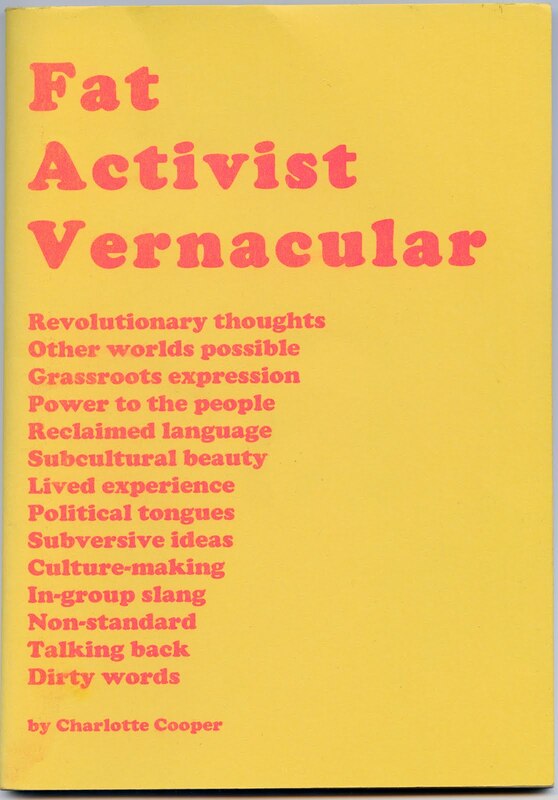 We used Anna Kirkland's great piece about fat rights, and one of my pieces about activism, as a basis for small group discussions (see the refs below if you want to check them out for yourselves). Peter Hopkins, the book review editor for Gender, Place and Culture, announced that reviews of Fat studies books would be welcome. He has copies of The Fat Studies Reader and Lee Monaghan's Men and The War On Obesity, if anyone wants to review them for the journal. For more information contact Peter or see the Gender, Place and Culture journal website. I made a digital recording of my keynote (.mp3, 27.6mb), which you can listen to if you are so inclined. It lasts about 45 minutes, and there are questions at the end. There are three more seminars, the details for which I will post here as they appear. Please come, if you can. Durham was a wonderful, transformative, supportive space for people interested in Fat Studies, a really good place to learn and discuss this stuff. Although there have been other Fat Studies gatherings in the UK, I had a real feeling that a good and quiely radical FS community was emerging in Durham, which was very exciting feeling to have. Thanks to everyone who helped put this event together, especially Bethan Evans and Rachel Colls. Kirkland, A. (2008) 'Think of the Hippopotamus: Rights Consciousness in the Fat Acceptance Movement', Law & Society Review, 42:2, 397-431.
Cooper, C. (2009) 'Fat Activism in Ten Astonishing, Beguiling, Inspiring and Beautiful Episodes' in Tomrley, C. and Kaloski Naylor, A. eds, Fat Studies In The UK, York: Raw Nerve Books. Charlotte, this is really great stuff to read--congratulations on the seminar. We need to do more of this kind of HAES-friendly stuff on this side of the ocean! Lord knows, we try! Thanks Bill. Good to hear from you!